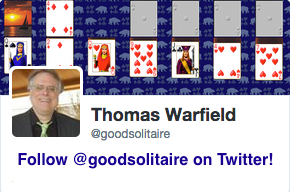 Click on the screen shot from Pretty Good Solitaire to download the 30 day free trial version. In this video I show how to play the Klondike Daily Quest. Watch and see all the moves I missed! 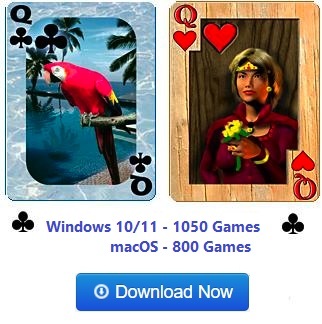 Download Pretty Good Solitaire Now and play along! 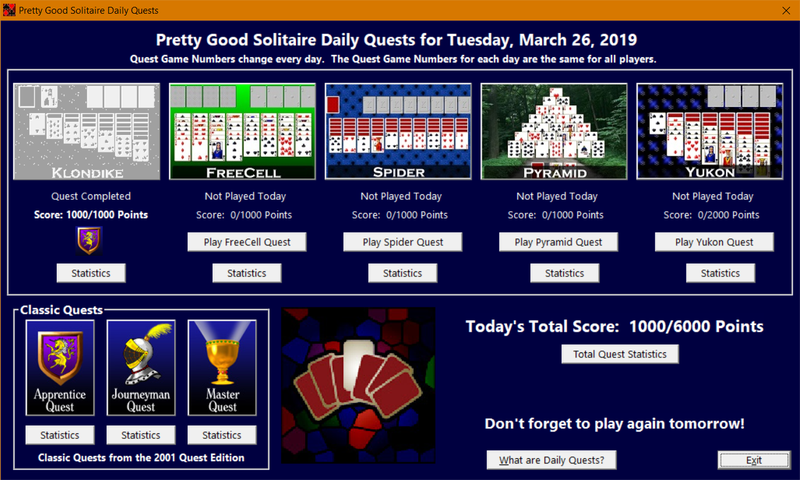 In version 19 of Pretty Good Solitaire for Windows, Quests have been redesigned to be played on a daily basis, like the Daily Challenges you see in some solitaire apps. Every day, you get different game numbers to play, but they are always the same games as everyone else gets that day.